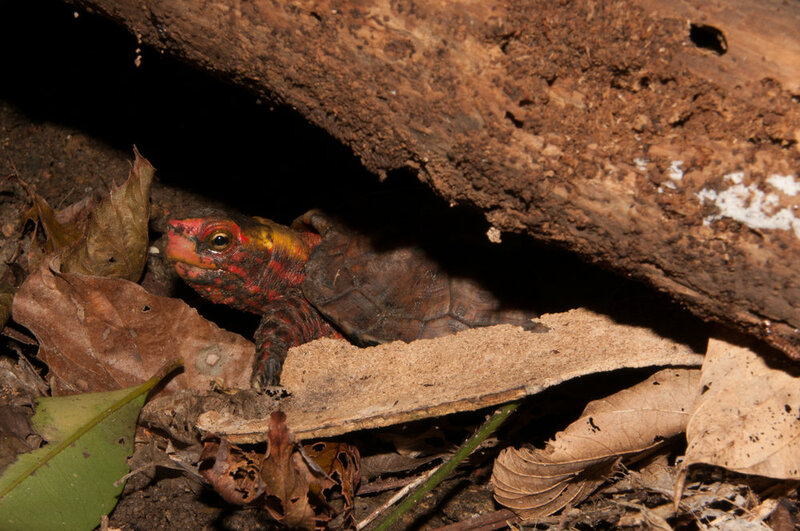 The Okinawa Leaf Turtle (Geoemyda japonica) is a cryptic species, with a highly colorful red to yellow pattern. This turtle has been highly desired by collectors, but at the same time scientist didn’t know a lot about this animal. The Okinawa leaf turtle is found in the archipelago of the Ryukyu in southern Japan. It can be found on the three islands of Okinawa, Kumejima and Tokashiki-jima, and it is one of the only wild native turtle of Japan with Mauremys japonica and Cuora flavomarginata evelynae. This turtle lives in the hilly jungle and prefers wet highly dense forests. Most of the wild individuals carry natural algae on their shells, witness to the high humidity environment where they live. Primarily carnivorous, these turtles eat invertebrates such as snails, worms, and insects but would not refuse small fruits like berries. Highly secretive, this animal spends most of its time hidden in the holes and caves that form from natural accumulation of rocks. Females can lay one to three eggs in one season, which is a very low reproductive rate, unfortunately this doesn’t help their survival. This species is considered a national treasure by Japan’s law of cultural property of 1975 so we can say that this animal is strongly linked to the natural history of these islands. This law was supposed to prevent any turtles from being collected, kept or exported out of Japan. But since this animal is brightly colored and is unique, when collectors of Asia and Europe discovered it, it was already too late. Since the nineties, wild caught Okinawa leaf turtle have been spotted almost all around the world in the pet trade. A CITES report from 2013 suggested putting the species in appendix II to protect it from illegal traffic, now it’s done. And the IUCN put the Okinawa leaf turtle in the endangered category. Of course poaching is one of the main threats, but tourism increases in Okinawa and more and more the forests are destroyed for human activities. This turtle doesn’t escape from habitat loss, including construction of roadways, water culverts, and other manmade structures. These threats led the ministry of environment to include this species in the red list of threatened wildlife of Japan. In 2003 a survey was organized by the board of education of Okinawa to understand the state of the population and since this date only local researchers such as Otani or Yasukawa were given access to this animal. At the Turtle conservancy we have had a soft spot for this turtle for a long time. In 2009, the Turtle Conservancy produced a small movie on an expedition in Okinawa in search of this discreet turtle. During this field trip we met local researcher Otani who has studied this animal for decades in the wild using a system of capture, marking, recapture -- drilling holes in the scales of the turtle to identify them. (By the way, we unfortunately find wild caught animals carrying these identifying holes in the European pet trade too often.) We collected data on turtles and their environment in order to increase our knowledge and understanding of this secretive animal. Then we produced this movie in order to explain the evolution of the genus Geoemyda and also to give some images of this species in the wild, something that has never been documented by western researchers before. This trip to Okinawa was also an opportunity to monitor and understand smuggling and illegal dealing of the species, which is one of our strategic program areas at the Turtle Conservancy. 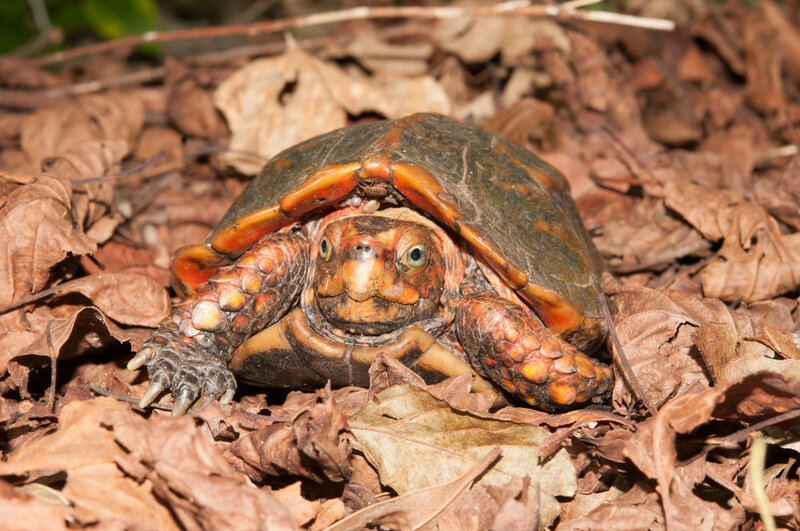 Indeed since it’s illegal to export individuals of this species, Chinese and Japanese keepers cheat the system in creating hybrids between, Yellow margined box turtle (Cuora flavomarginata) and Okinawa leaf turtle (Geoemyda japonica) in order to be able to export them abroad. Since 2013, the Turtle Conservancy has also supported conservation of this species through captive breeding. Indeed we are successful with the reproduction of Geoemyda japonica and produce babies every year. Our breeding pairs are long term captive or captive bred in the United States. In captivity the Okinawa leaf turtle can be quite simple to keep when you provide all of what they need and this is what we do in the Turtle Conservancy with one green house almost only dedicated to the genus. We support captive breeding and research in captivity to increase knowledge of this species. 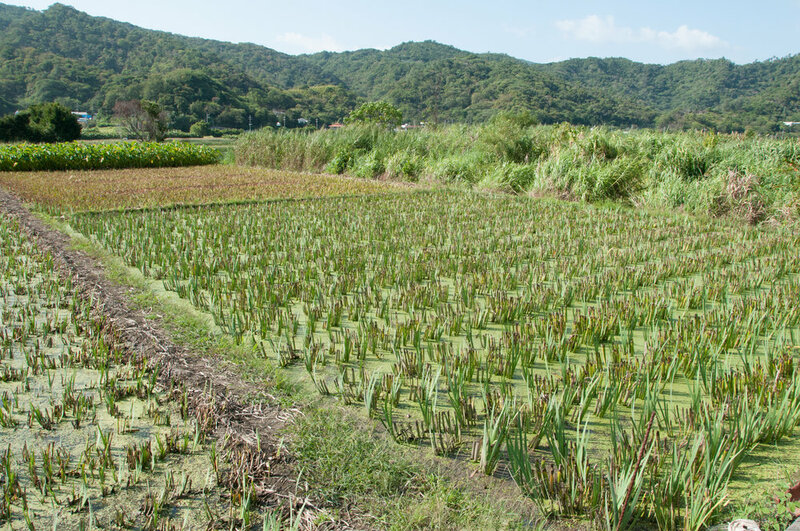 A return trip to Okinawa might be in order to see what has been going on since our last field trip!